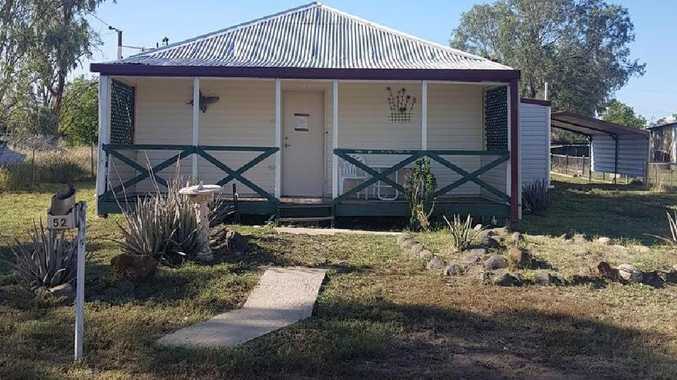 52 brodie St, Hughenden is on the market for $24,900. QUEENSLAND'S cheapest house has been sold for less than the price of a new hatchback. 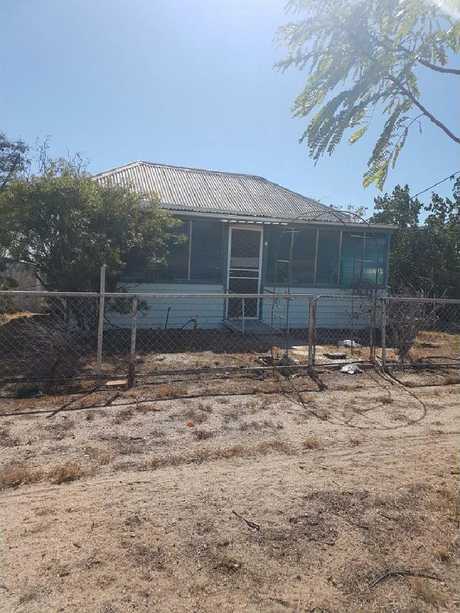 The property at 19 Hardwicke St in Hughenden was listed for sale in "as is" condition for $18,000. Ray White Richmond agent Alison Vohland said the property was now under contract, and had sold "for less than $18,000". 19 Hardwicke St, Hughenden, sold for $18,000. "The buyers are from down south and are escaping the cold," she said. "They really wanted a good block in a nice residential area and the land is probably what sold it. "I don't think they are going to fix the house - it's probably too far gone. "It is probably 1920s-era and has the old-style roof where you look up at the corrugated iron, and just a single interior wall." 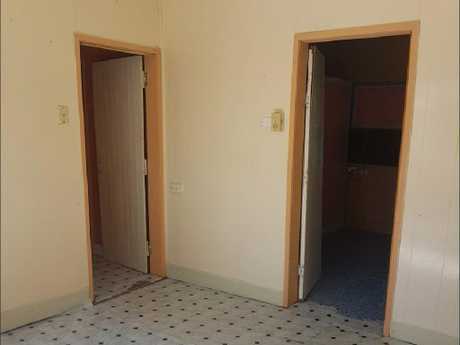 Inside 52 Brodie St, Hughenden. Ms Vohland said she was seeing more and more older people making the shift north, lured by the warmer climate and affordable housing. She said potential buyers from the more expensive southern capital cities were keen to unlock some equity and secure a house they could lock up and leave to go travel in their golden years. "That's good news for us," she said. The most recent Price Predictor Index report from Hotspotting by Ryder noted "an improvement in Queensland regional areas damaged by trends in the resources sector". "The number of regional Queensland locations classified as Danger markets has dropped from a record high of 31 late in 2016 to 19 now," the report found. The report tracks sales volumes rather than rises in the median house price to chart growth. Another property on Ms Vohland's books is 52 Brodie Street, also in Hughenden. The three bedroom cottage is on the market for $24,900 and sits on a 1012sq m block. To put that in perspective - that amount of land alone could set you back over $20 million in some of Sydney's most expensive suburbs. 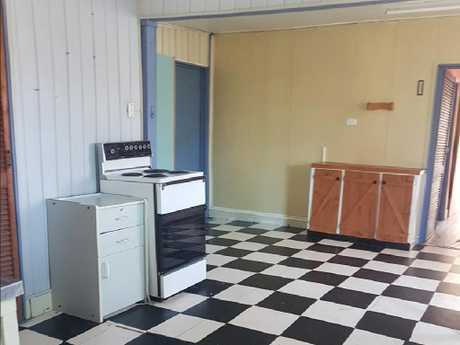 The kitchen at 52 Brodie St, Hughenden. Ms Vohland said that house was in better condition, and there had already been some interest in the property. "Mostly from tenants down south wanting to get their own home," she said. Another house at 38 Brodie St in Hughenden is on the market for $40,000. The latest property data from CoreLogic shows the median sales price in Hughenden is $95,000, up 18.8 per cent in the last 12 months. At its peak, Hughenden house prices reached $126,250 in 2012. Ms Vohland said the construction of a new solar and wind farm, the creation of a recreational lake and the works of the Hann Highway had created some positivity in the region. Of those, 550 job ads were listed for Dysart, where the median house sales price has fallen from a whopping $330,000 at the height of the mining boom to just $71,000. 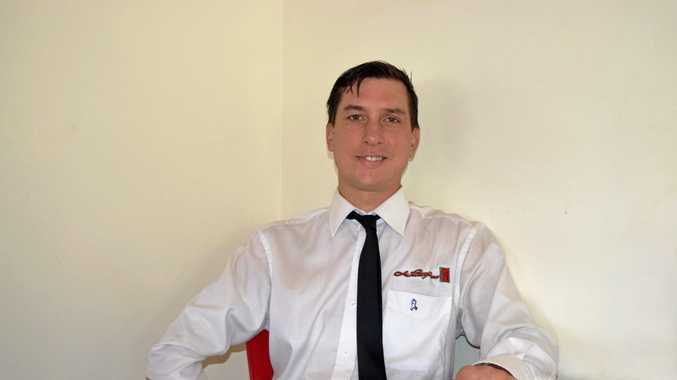 Raine and Horne Moranbah agent Emmarina Watene has 4 Roper Court, which is on the market for $70,000. 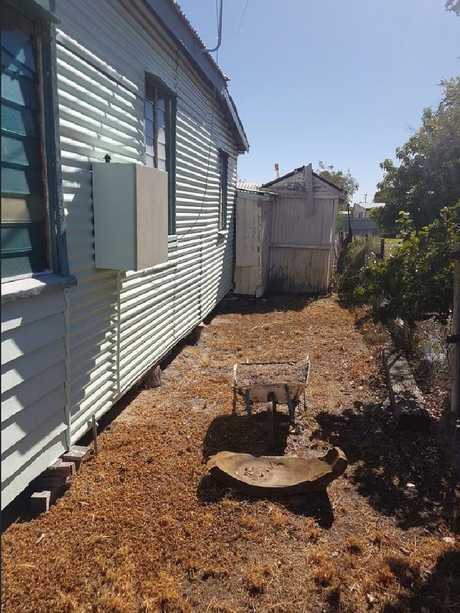 The lowset three bedroom house is 'in need of TLC' but features open plan living, dining and kitchen areas, airconditioning and ceiling fans in every bedroom, an undercover, drive-through carport and side access to the large backyard. "I have had some interest, mostly from investors down south," she said. "I feel like we have hit rock bottom now and we should hopefully start seeing some improvement. "Buyers are already trying to secure rental properties so the cheaper ones get snapped up quickly." 52 Brodie St, Hughenden sits on a 1012sq m block, a size that could set you back over $20 million in some of Sydney’s most expensive suburbs. Ms Watene said interstate retirees and grey nomads were helping to plug the gap left behind by workers after the downturn, with many using outback towns like Dysart as a base for travelling. Both agents agreed there was plenty of reasons to make the move to the outback. Property data shows that many small mining towns are showing green shoots, with house prices in Clermont up 42.1 per cent in 12 months, reaching $270,000 after a peak of $350,000 in 2012. It is a similar story in Moranbah, where prices have risen 14.6 per cent in the past 12 months to $185,000 after falling from a high of $352,000 in 2007. In Blackwater, 60 houses have sold in the past 12 months with the median sales price now $105,000, which is still $45,000 less than the peak in 2014. Over 170 houses have sold in Emerald during the same period, with median sales prices up 12.1 per cent to $269,000 after a high of $455,000. CoreLogic senior research analyst Cameron Kusher said it would take a long time to get back up to the inflated prices seen during the mining boom. But he said many struggling mining towns were finally showing signs of growth. "It is a slow and subtle rise. I doubt they will boom like they did but after a big decline we are seeing commodity prices lift and more demand for workers in some of these areas," he said. Mr Kusher said while values were down, many of the towns could still achieve decent rental yields - a positive for investors. "Clearly there is some increasing demand from buyers and renters," he said. 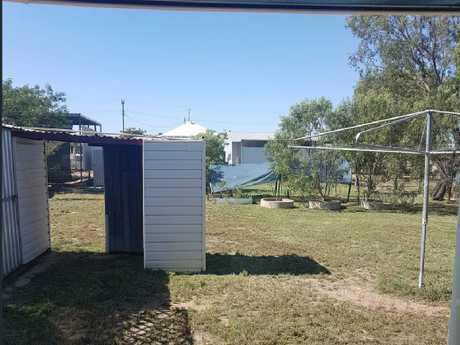 The cheapest house-style accommodation in the Brisbane Greater Region is a one bedroom, one bathroom, relocatable home at Durack, which is on the market for $93,000. And in Sydney, even the most rundown fixer-upper will set you back upwards of $1 million.